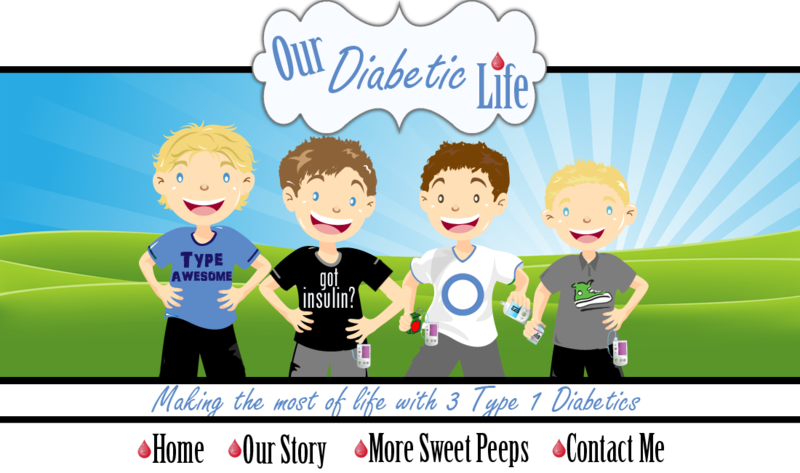 Our Diabetic Life: Eli Lilly insulin, 40% off retail. 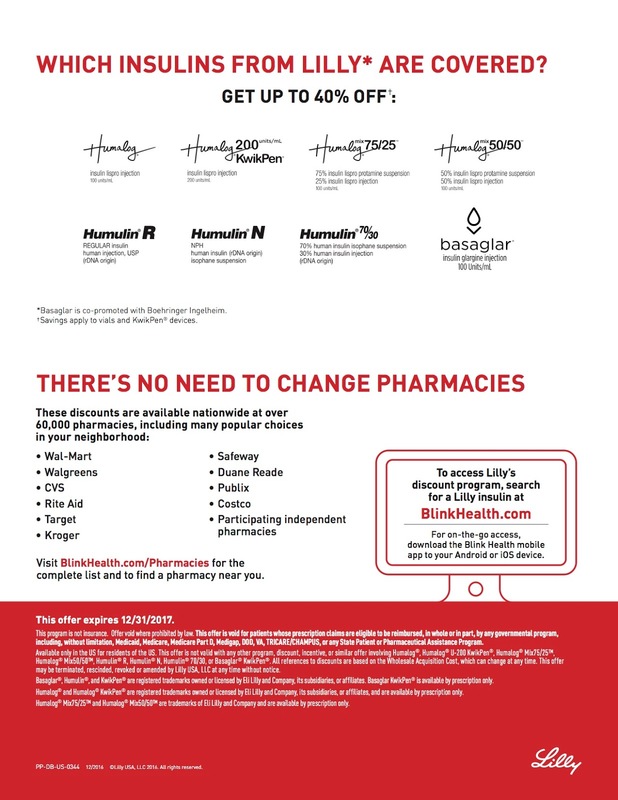 Eli Lilly insulin, 40% off retail. I’m late relaying this information, but it is important, and might help you or someone you know. Insulin prices have tripled in price in the last 10 years. It’s not right, and it’s complicated. But Eli Lilly has extended an olive branch of sorts to indicate they are listening and know the cost of insulin is hurting individuals and families. 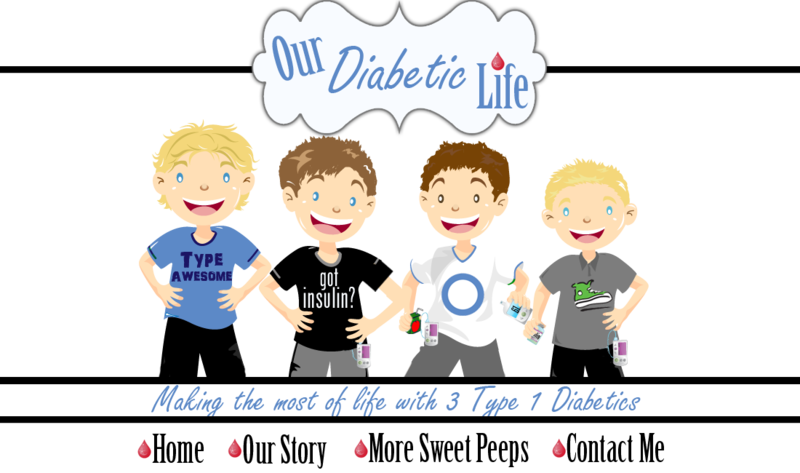 The olive branch comes in the form of a 40% discount off the retail price of their insulin. For those that pay cash for insulin, or have high deductible plans, this just may be a way to get through these troubling times. 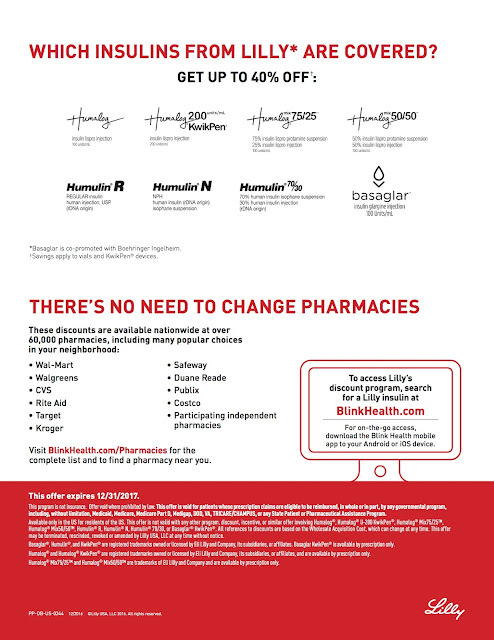 Eli Lilly Diabetes has partnered with a website called “Blink Health.” If you go to the website HERE and register (for free,) you can purchase your insulin with the 40% discount and then bring your electronic receipt to almost any pharmacy to pick up your insulin. It’s really supposed to be that easy. 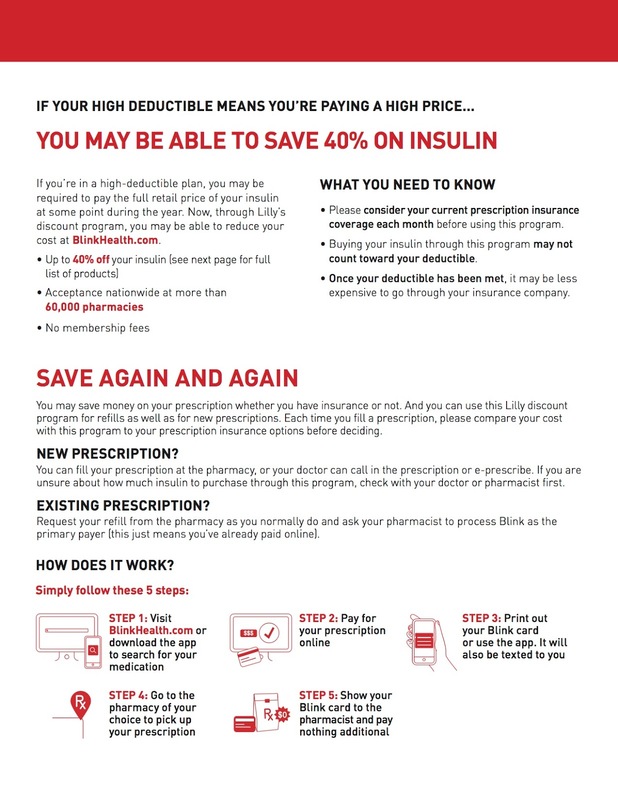 If you get to the pharmacy and find that your insurance actually does cover the insulin, or you can get it for less, the website will refund your money. You can do this with almost any insurance, unless you’re on a government sponsored insurance plan. (Apparently there are too many regulations for this to be allowed.) The only unknown is if your insurance will allow you to put this purchase towards your deductible. That is something you will need to call your insurance to find out. Technically, this purchase on Blink Health works outside the insurance industry so you won’t need to provide any insurance information to purchase the insulin. You will need to have a prescription on file with your pharmacy though. You can leave any questions you might have in the comments section and I’ll do the best I can to answer them. I have contacts at Eli Lilly Diabetes if the question is out of my depth. I went on the website today and found a vial of Humalog insulin to be $174.34. There is also a $5 discount that will be applied for your first order. This in no way solves the insulin-pricing crisis, but it helps. And that is what we asked for: help. Thank you Eli Lilly. 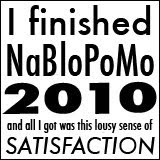 I hope Novo Nordisk and others look to follow suit.